Order in the next 11 hours 26 minutes for delivery on Monday, May 6. For engraving, order in the next 10 hours 27 minutes for delivery on Monday, May 6. Order in the next 11 hours 26 minutes for delivery on Tuesday, April 23. For engraving, order in the next 10 hours 27 minutes for delivery on Tuesday, April 23. 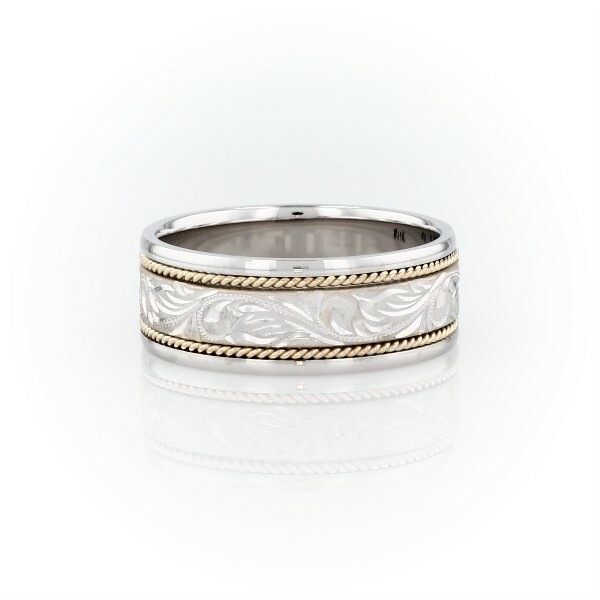 Simply unique, this crafted 14k gold wedding ring features a paisley design framed by polished edges, and rope detailing.